Maximize your gaming experience with the right monitor and peripherals. Now that we've discussed all of the internal components of a PC — case and power supply, CPU/motherboard, graphics card, internal storage and memory — you're ready to go off and assemble your very own gaming rig. We're really close to getting our game on, so let's wrap up this series with a look at monitors and peripherals. The technology for monitors is quite mature, so if you’ve got one lying around from your previous computer, go ahead and hook it up to your graphics card and get gaming! If you're in the market for a new monitor or just want to upgrade, some important characteristics to consider are size, resolution, panel type and response time. Screen resolution is measured in pixels, and the majority of new monitors will have a native resolution of 1920 x 1080 pixels in a 16:9 aspect ratio (widescreen). Higher resolutions offer crisper images, but require more graphics processing power to maintain high frame rates. With GPUs getting stronger, the Wide Quad HD format (WQHD) is becoming more popular due to the large desktop workspace (2560 x 1440) and four times the resolution of a 720p television. As far as physical size is concerned, it depends on your preference and seating distance from the screen. However, both gamers and everyday PC users seem to favor 24-inch and 27-inch monitors. The most common monitor panel type is twisted nematic (TN), a mature LCD technology that is preferred by many serious gamers due to its extremely low response times of 1 to 2 milliseconds (ms). Response time is a measure of how long it takes one pixel to change from grey to white, and then back to grey. Lower response times prevent blurring and "ghosting," which is the result of an artifact left behind from a previous image. This is an important characteristic to consider if you play fast-paced shooters or competitive-level gaming. Without getting too technical, a 5 ms response time is fine for a monitor with a standard refresh rate of 60 Hz. For higher refresh rates, like 144 Hz, you’ll want to target a response time of less than 2 ms.
Another panel type that's slowly starting to gain a larger market share is in-plane switching (IPS). While IPS technology is more expensive than TN, the benefit is more accurate color reproduction — important for those working with photo/video editing or graphic design. Response times for IPS panels are slower than TN displays, but that may not be a concern depending on the types of games you play. An IPS panel also offers wider viewing angles when compared to TN — color shifts occur at moderate angles with TN monitors, but IPS panels display zero distortion. AMD and NVIDIA have each developed their own adaptive synchronization technology for monitors that allows the refresh rate to exactly match that of the GPU. What this means is that each frame is displayed as soon as it's rendered (as opposed to waiting for the monitor to be ready for the next frame), resulting in smoother graphics. AMD’s FreeSync and NVIDIA’s G-SYNC technologies move monitors away from the traditional locked 60 Hz refresh rate, and eliminate the need to use V-SYNC, an old graphics smoothing remedy that typically introduces input lag and frame stutter. As is always the case with new tech, you’ll be paying a high premium for most FreeSync/G-SYNC-ready monitors. Well-reviewed displays can cost between $600 and $700. 23.6" Acer K242HQL 1080p (5 ms) — Retails for $149.99, but was recently on sale for just $92 from Adorama via eBay. 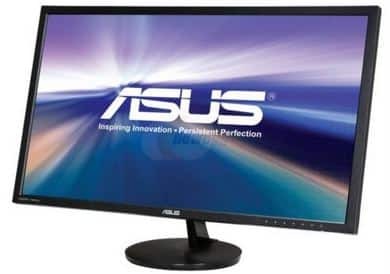 28” ASUS VN289H 1080p (5 ms) — $189.99 after rebate from Newegg.com, but was $149.99 just a few weeks ago. 27" AOC IPS LED 1080p (5 ms) -- Currently $179.99 from Best Buy via eBay, down from $299.99 MSRP. 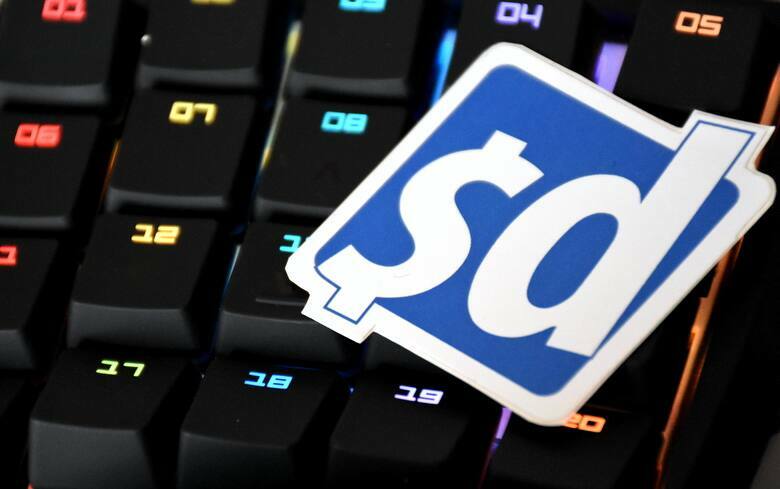 For the most part, a cheap keyboard and mouse combo will get the job done, but gaming requires a lot of repetitive and quick actions, so ergonomics, reliability and accuracy are important elements to consider. One of the key differences (pun intended) of gaming keyboards and mice is the addition of programmable buttons. These extra inputs are most often used to store a macro, which is a predefined combination of keystrokes or executable commands. As games get more complex — with weapon, inventory and special ability management — not having to lift your hands off the keyboard or mouse to reach additional buttons is a welcomed convenience. 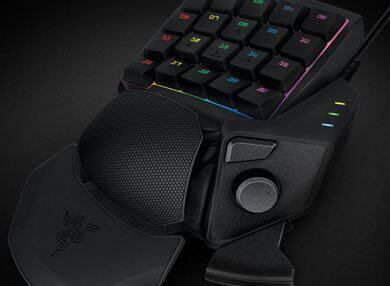 Many gaming keyboards now come with mechanical switches, offering unmistakable feedback and precision. The metal spring in the switch requires a specific amount of actuation force before the key will register a stroke, and most have been calibrated to be quite sensitive with a fast reset. This allows you to repeatedly press keys much faster, potentially giving you an advantage in games where actions-per-minute matter. The downside of having a mechanical keyboard is the signature “clickity clack” of each key press — it’s something that will surely annoy anyone within earshot. But spouses, roommates and friends on the other end of cheap headsets can rest easy knowing that more manufacturers are coming out with “silent” mechanical keyboards that are up to 30% quieter. One of my favorite peripherals to come out in recent years is a dedicated left-hand keypad. It might seem redundant to have another set of duplicate keys on a completely separate device, but the ergonomic improvements and the addition of an 8-way thumbstick have really given me a speed advantage when it comes to selecting items or running-and-gunning. And it's also more comfortable than splaying my hand across the flat surface of a keyboard. Fans of first-person shooters will immediately see the benefits — weapon cycling can be mapped to the thumbstick, and the extra button by your thumb means you can quickly pull off time-sensitive actions like deploying a shield or healing while escaping. A constant theme throughout this series has been “buy what you’ll actually use,” and it’s never going to be more relevant than with peripherals. There are a lot of manufacturers, like Logitech, Mad Catz and Razer, with cool looking products filled with interesting features, but sometimes it's more than most gamers could ever really use. Since I play exclusively on my Razer Orbweaver keypad, I skipped the expensive mechanical keyboard and went for a SteelSeries Apex 300 ($69.99) that still features 17 macro keys and anti-ghosting. My Corsair M65 ($59.99) mouse has a few more buttons and a “sniper mode” that slows down the tracking speed for precise shots, but those playing more complex games, like an MMORPG, may want to go for the 20-button Logitech G600 (which is currently on sale for just $47). 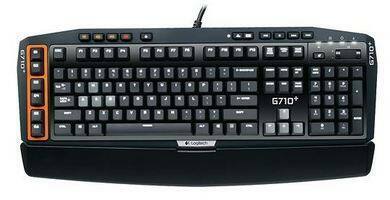 Logitech G710+ Mechanical Gaming Keyboard — Retail price is $129.99, but currently on sale for $77 from Best Buy. MadCatz S.T.R.I.K.E. TE Mechanical Keyboard — $69.99 from Newegg.com, down from the MSRP of $149.99. Razer Naga Expert MMO Gaming Mouse — Currently down from $79.99 to just $49.99 at Best Buy. G.Skill Ripjaws MX780 RGB Gaming Mouse — Selling for $49.99 from Newegg.com. MSRP is $74.99. And that’s it! Congratulations on making it to the end of our series. Hopefully, you've gained the knowledge and confidence to go out and build a gaming PC that satisfies your unique technical and financial requirements. Show us your build and keep the conversation going in my forum thread. And don't forget to enter to win a Samsung 850 EVO SSD courtesy Newegg.com! Photos by Andrew Chen, Asus, Logitech and Razer.